Note Date and Location Change for November! Mary Fisher brings more than 25 years of experience in the pharmaceutical, cosmetic, and biotechnology industries and currently serves as CEO and Board Director at Colorescience, a former division of SkinMedica where she served as Chief Executive Officer from 2008 until 2012, where she led the successful sale of the company to Allergan for $375 million. Prior to joining SkinMedica, Ms. Fisher was COO of Acorda Therapeutics, a biotech company focused on developing products for the treatment of central nervous system disorders where she executed the company’s restructuring, initial public offering and a $50 million acquisition transitioning Acorda to a commercial stage operation. Previously, she held the role of Vice President, Strategic Healthcare and Commercial Operations at Cephalon, Inc., and Manager, Communications at Immunex. Ms. Fisher currently serves on the Board of Directors at Zeltiq (NASDAQ:ZLTQ) and Ovascience (NASDQ:OVAS). In June 2013, Mary was honored as one of Ernst & Young's Entrepreneurs of the Year for San Diego. The Ernst & Young Entrepreneur of the Year Award is considered the world's most prestigious business award for entrepreneurs, recognizing and celebrating the success of outstanding individuals who build, lead and grow dynamic and successful companies. She also received the 2013 Venture Capital Award of Excellence from Ernst & Young. 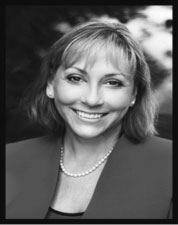 Mary is a member of the Women’s Dermatological Society and the Dermatology Foundation Leader’s Society. Vegetarian – Vegetable Wellington with Risotto, and Grilled Seasonal Vegetables. Albéa offers the world's largest range of beauty and personal care packaging with leadership positions in plastic and laminate tubes, mascaras, lipsticks, samplers and foam pumps. Their recognized expertise in fragrance and skincare dispensing pumps, fragrance and lotion caps, compacts, lip-gloss, promotional items and accessories is known worldwide. We are #1 in Mascara, #1 in Lipsticks, #1 in Plastic and Laminate tubes, #1 in Foamer pumps and Fragrance samplers and #2 in Fragrance pumps. Our staff of 15,000 people serve large and small customers in 15 countries across the world and we operate 38 facilities in Europe, Asia and the Americas. Albéa’s global sales totaled US $1.4 billion in 2015.